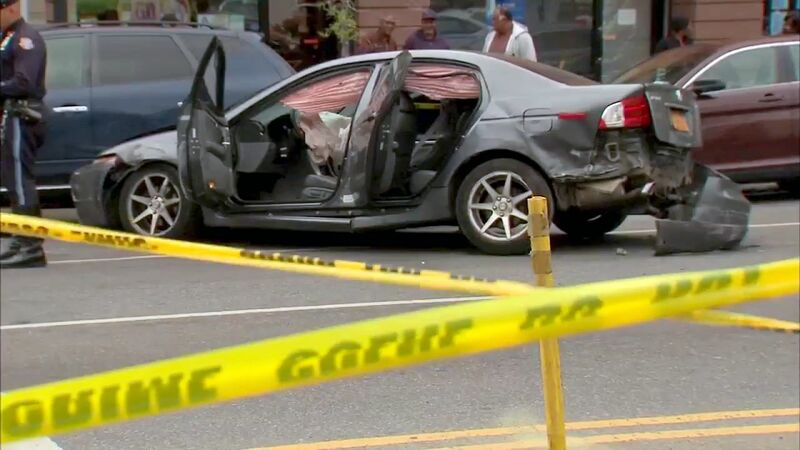 HARLEM, Manhattan (WABC) -- Two NYPD officers were taken the hospital after their police cruiser was involved in a crash with a car carrying robbery suspects in Harlem Friday afternoon. The incident started as a robbery in Inwood. The victim flagged down a police officer, while a friend followed the getaway car of the robber, called 911 and gave a description of the car. 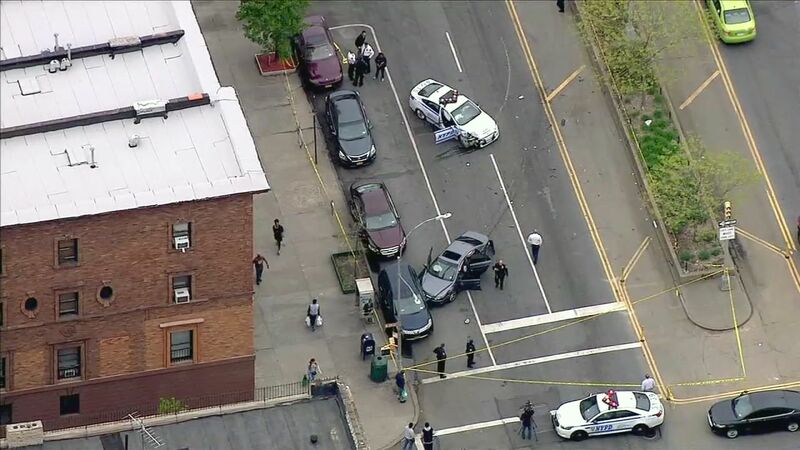 Officers in the area spotted the car on Seventh Avenue in Harlem and tried to pull the car over. While attempting the traffic stop, the vehicles collided near the intersection of Seventh Avenue and 139th Street. 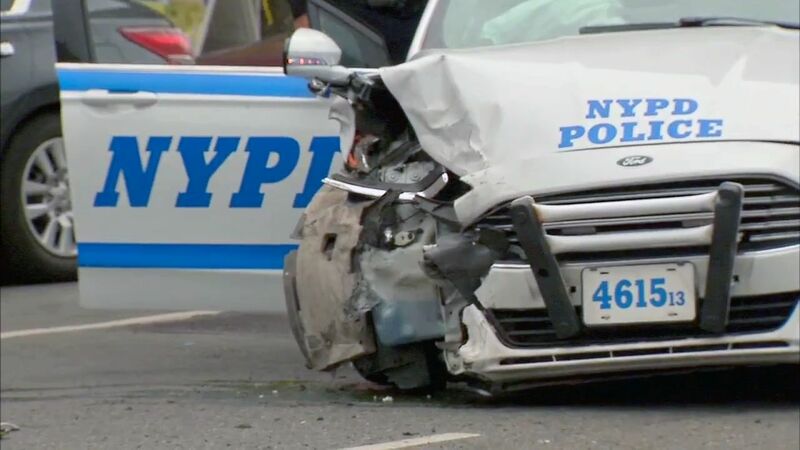 Witnesses told Eyewitness News that they heard a loud crash when the police car collided with the other car, and that police approached the people in the car after the crash with guns drawn. The two people in the car were taken into custody. The officers were taken to Harlem Hospital, where they're being treated for neck and back injuries.